1 large Pork Loin or 2 small Pork Loins. 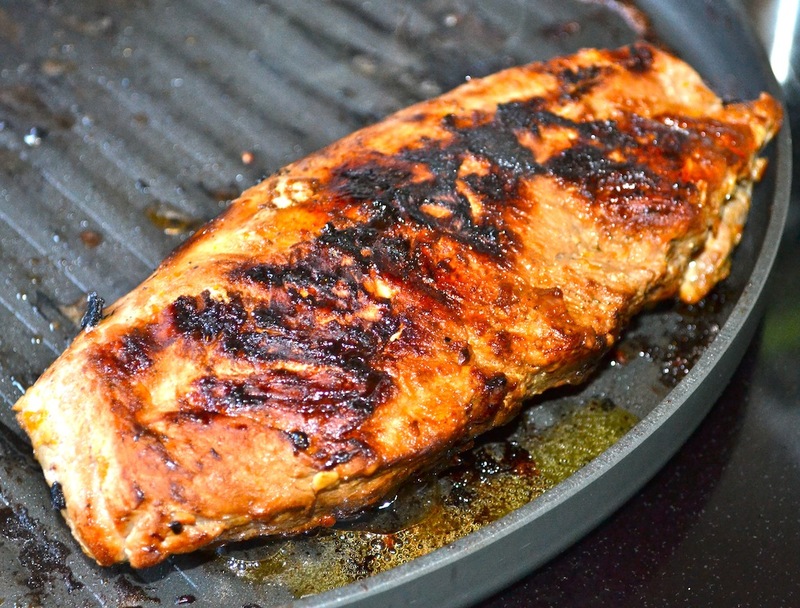 The First step is to mix up your Marinade. 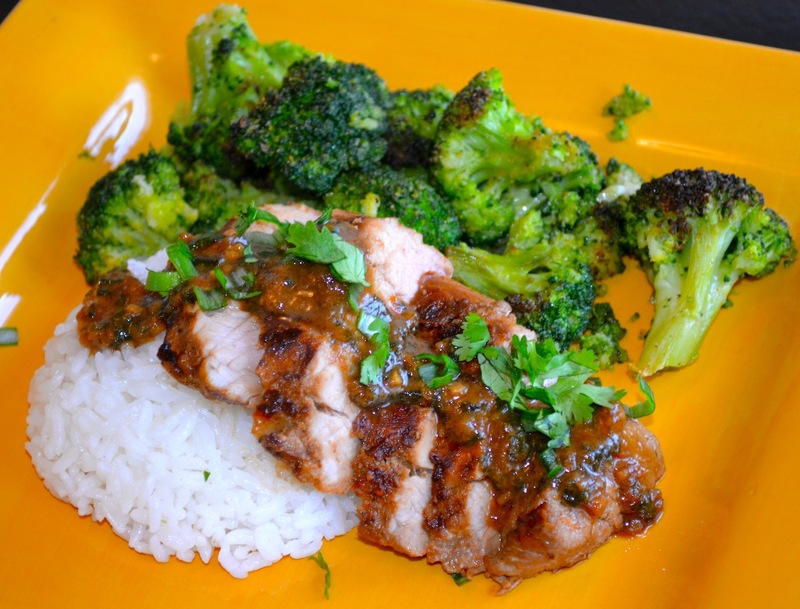 It is basically all of the ingredients listed above except for the Honey and 1Tbls of Soy Sauce and a little bit of Orange Zest because you will use those to freshen up the flavors in the sauce. 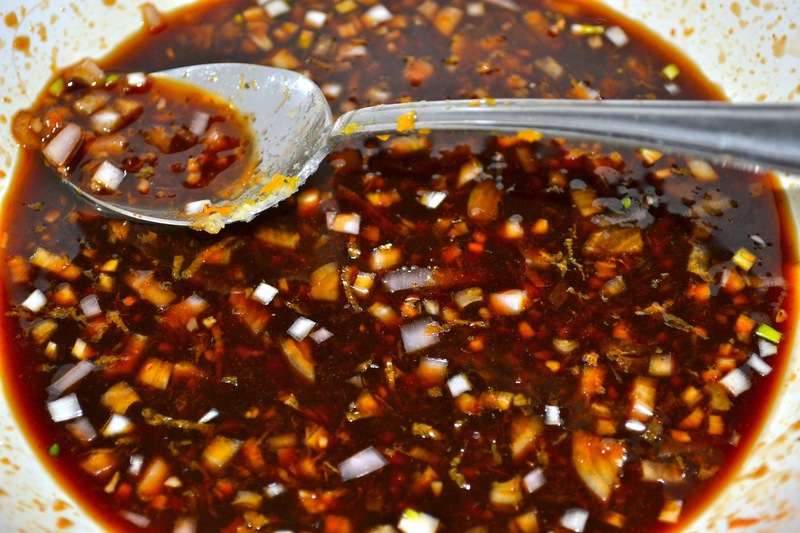 I also didn’t have the green onions and cilantro the day I made the marinade, but I would suggest adding some of these into your marinade as well if you wanted too! 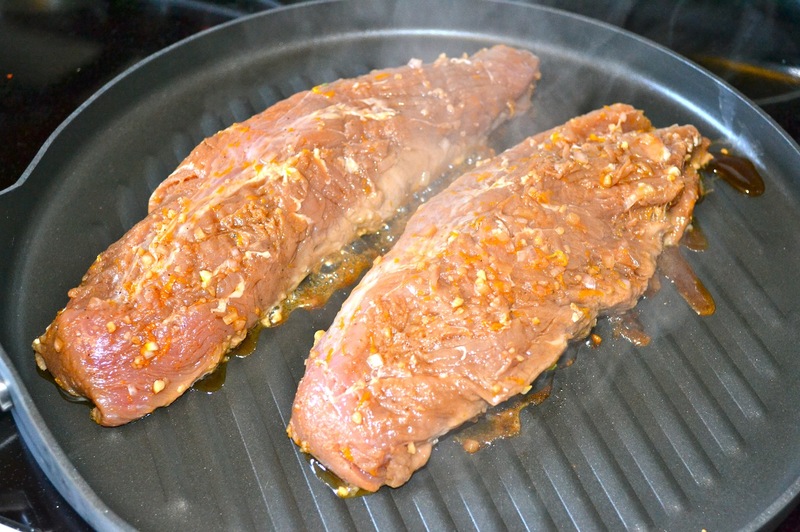 Next add in your Pork Loins and make sure the marinade gets all over the pork. 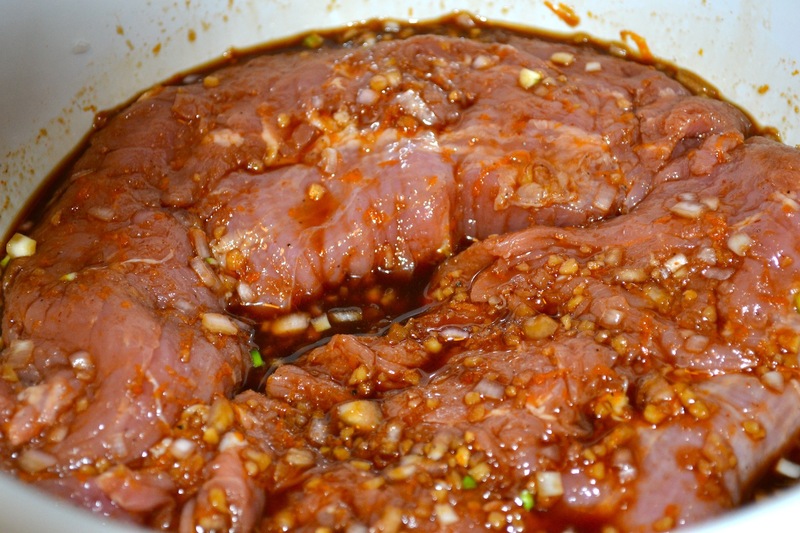 Rotate your Pork halfway through the marinating process if you can as it will make the flavors more evenly distributed! 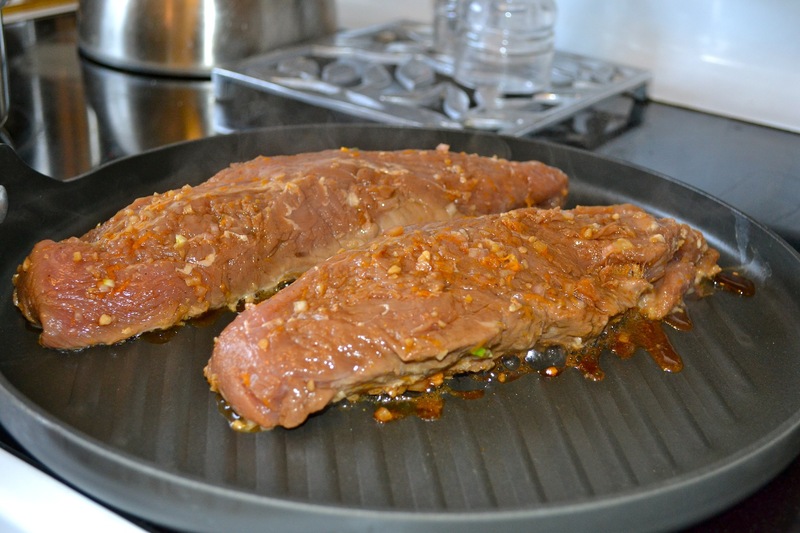 This is what the Pork Looked like after marinating for 24 hours! 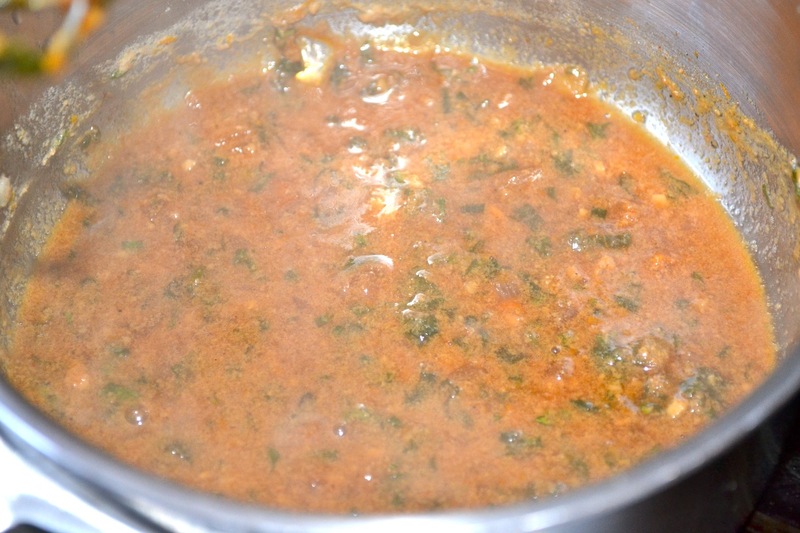 You can tell how the color changed as it absorbed all of the yummy flavors!! 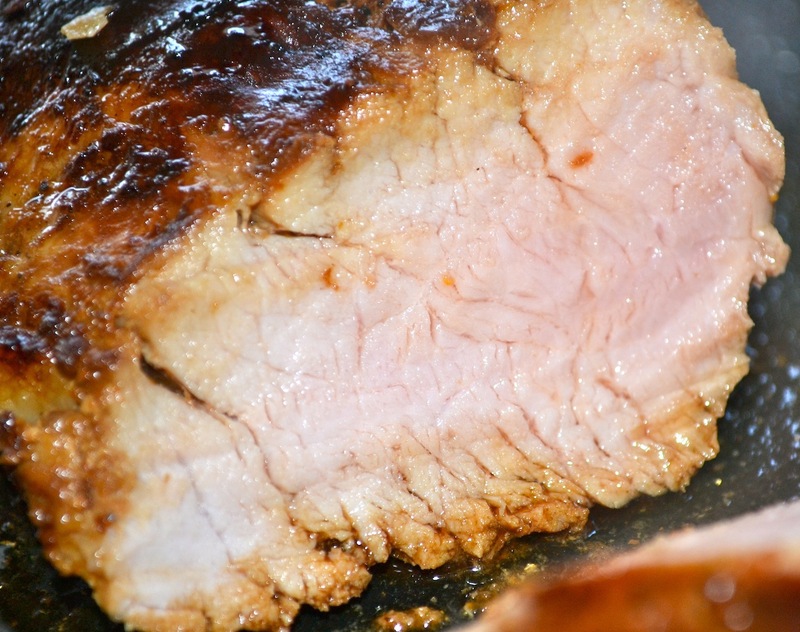 Make sure your grill pan is hot when you place your pork on the grill so that you can get a nice sear and crust on your meat! It will mean a more flavorful finished product! 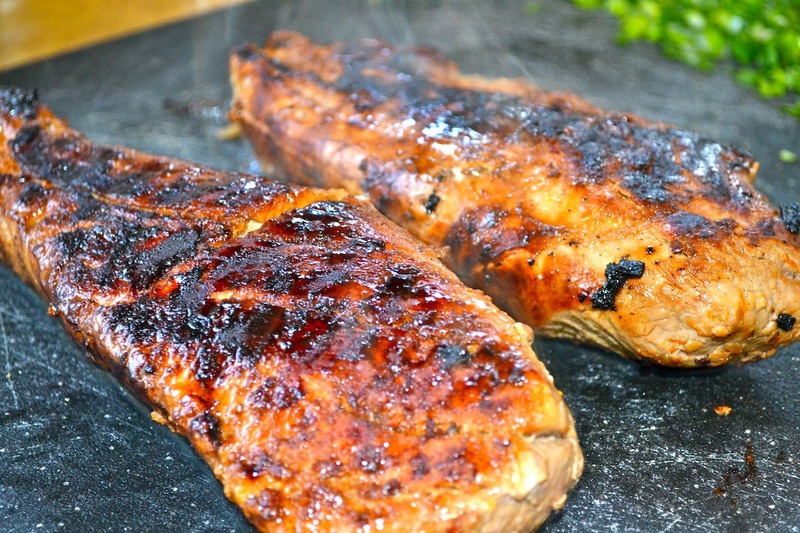 While the Pork is cooking, and you will want to cook it for 4 minutes or so on each side to create a nice Sear, then you will move the pork to the cooler outer part of the grill until done to your likeness! I cooked it for 7 more minutes on the outer edge to make sure it wasn’t rare in the middle as rare meat is no good for a Prego like me! 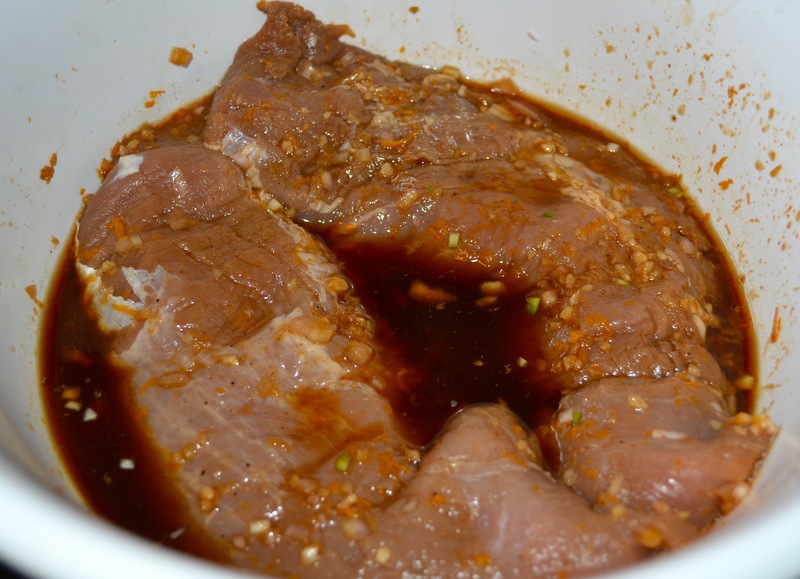 While your pork is cooking, take the excess marinade and add in the honey, extra orange zest and soy sauce and bring it to a rolling boil. 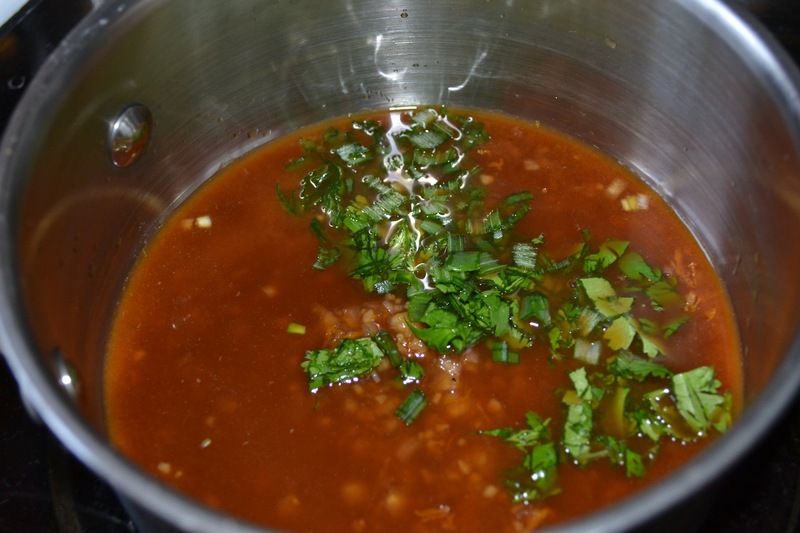 Boiling the marinade cooks out all of the bacteria from the raw meat and also reduces the sauce into a fabulous flavor spectacular! This next picture is just showing the lovliness of the Pork Loin as it was finishing up the cooking process on the outside of the grill! I am getting hungry again just looking at these pictures! 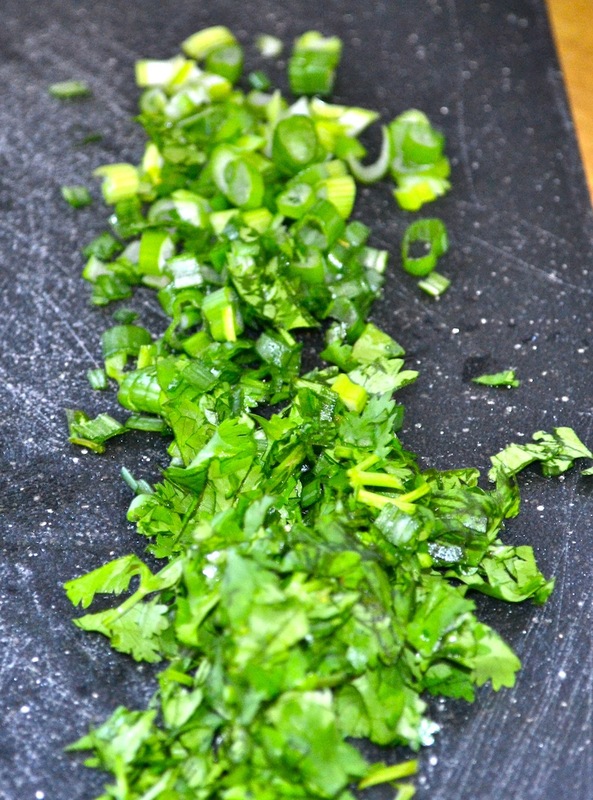 I chopped up a bit more cilantro and green onions as they make a great fresh and tasty garnish for the whole finished plate! 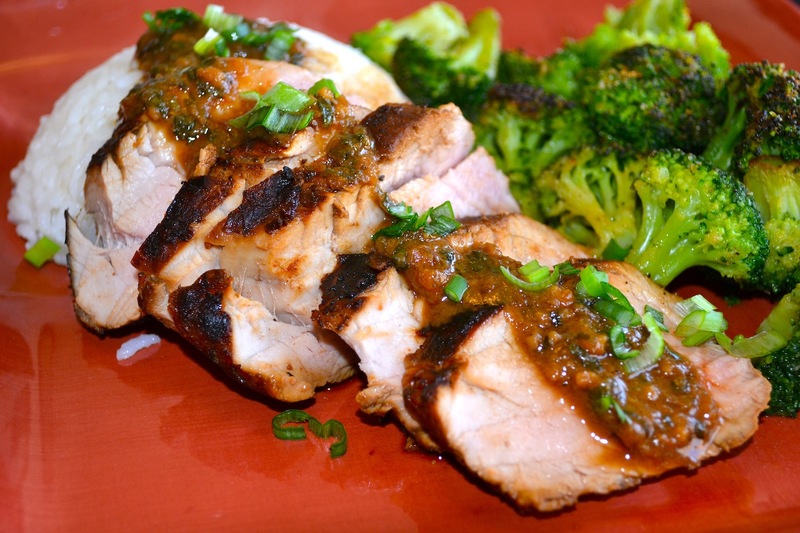 Take your Pork Loins off of the grill and let them rest for about 8 minutes so that the juices can redistribute! Otherwise all of the lovely juices will just run out of your meat and you will end up with dry pork…no good! I tented mine with foil to keep the heat in. Slice your the Pork on the Bias and serve immediately. You can see that resting the pork resulted in a lovely juicy piece of meat! IT WAS SO YUMMY! When plating, I drizzled some of the finished sauce all over the pork and garnished with the extra cilantro and Green onions…yeah…it was yummy. 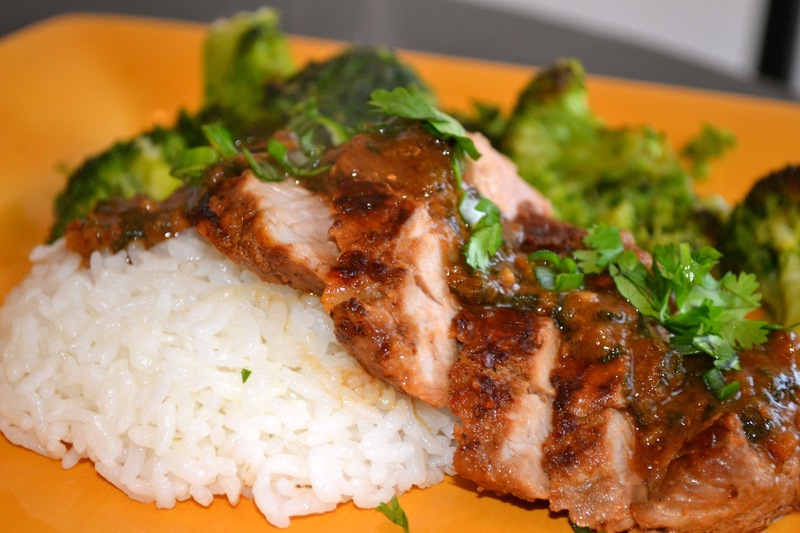 I hope you will enjoy this recipe as much as we did and let me know what you think! this was so tender and flavor filled. Just the way I like my meat!! !